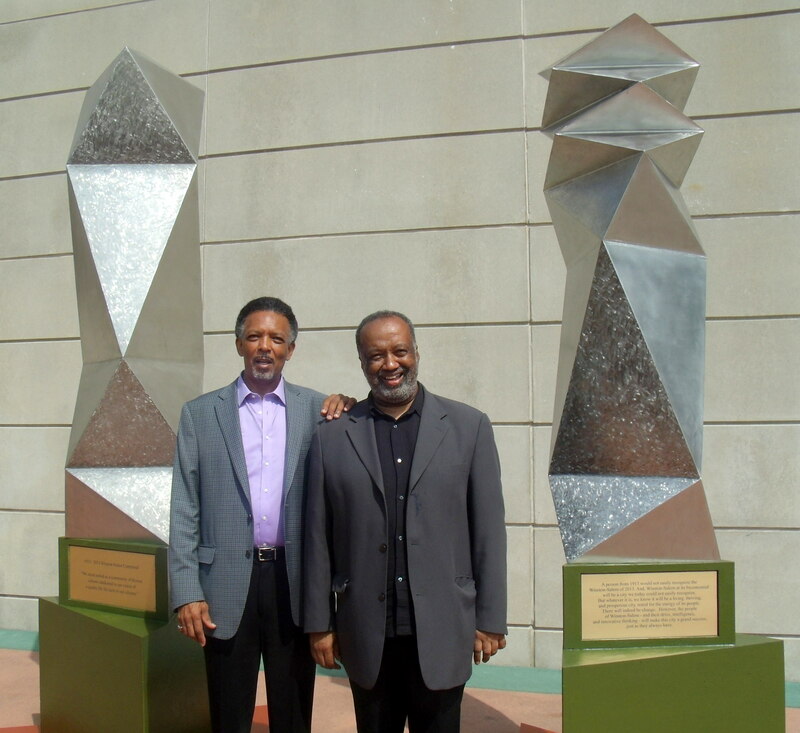 Noted Artist & Sculptor Vandorn Hinnant and Nathaniel B. White Jr. The Circle in the Round, LLC is a legacy organization dedicated to the memories of James and Octavia Knight and their beloved daughter, Janet Knight Ledbetter. Circle In The Round promotes resident artists, cultural arts and holistic health activities. The Centennial artist, Vandorn Hinnant featured by the City Council of Winston Salem, NC is a resident associate of the organization and expected to inspire inter-generational appreciation of art, science and the humanities leading exhibit and workshop activities for the organization in the near future.